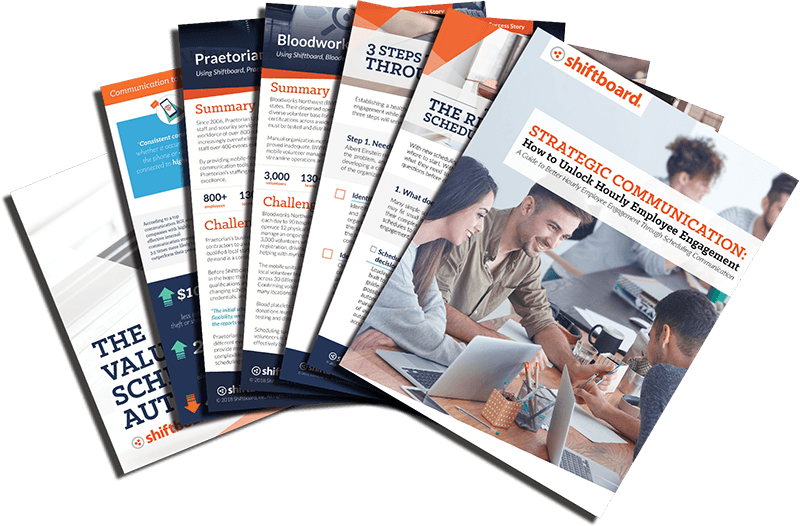 In our new toolkit, you will find a variety of checklists, videos, articles, and infographics designed to help you achieve higher employee engagement with your hourly workers. 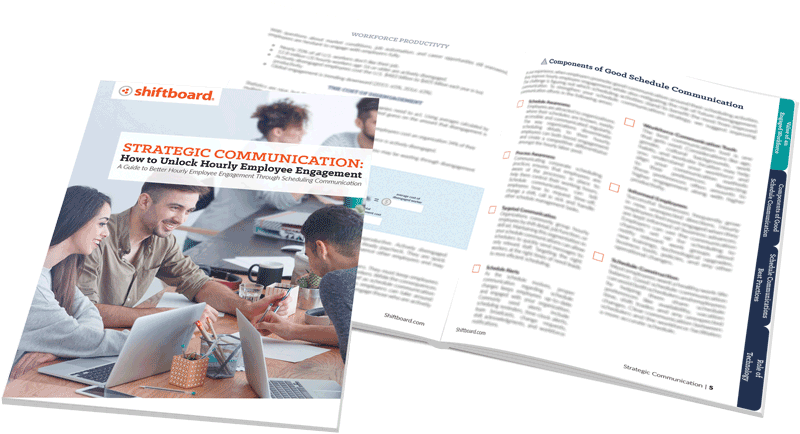 Download the toolkit to start boosting your employee engagement today! Find out why communication is the indispensible sidekick to scheduling automation in a fun and graphical way. 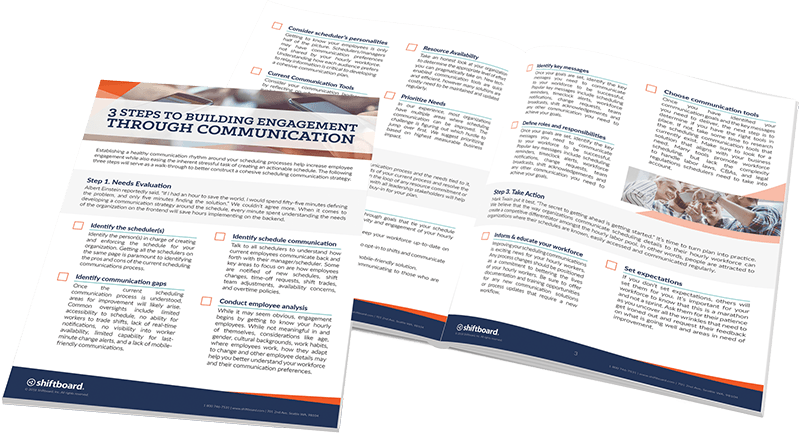 Our strategic communication checklist will serve as a walk-through to better contruct a cohesive scheduling communication strategy. Driven by global competition, now more than ever, organizations are dependent on nurturing healthy relationships across all levels of their business to align their workforce with a common goal. While most employee engagement and strategic communication initiatives are focused on salaried employees, we believe these same initiatives can be applied to hourly workers. 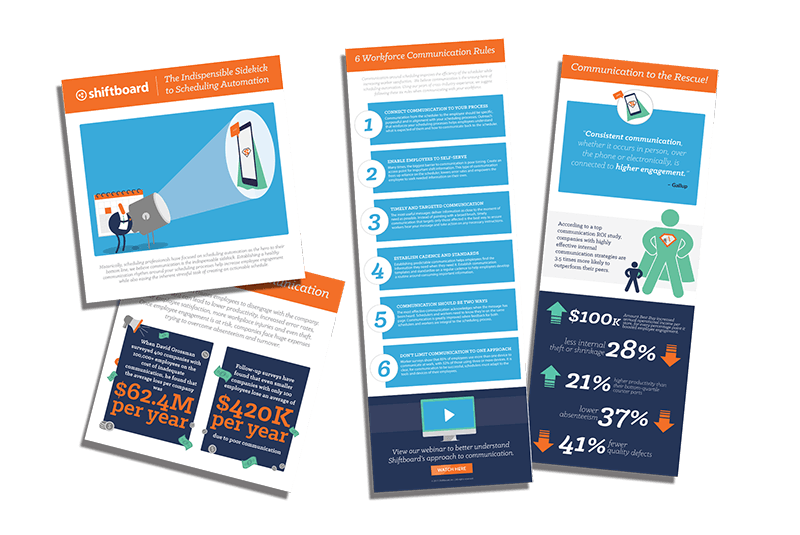 Communication with an hourly and shift-based workforce requires more than just keeping workers informed of their schedule and available shifts. Workers want more control over their schedule, and organizations struggle to attract, engage and retain the best workers. High worker engagement is critical to productivity, quality of service, and employee retention. Organizations can greatly improve employee engagement when they focus on how they create, communicate and change their employee schedules. In this webinar, you will learn about how scheduling automation improves the scheduling process, workforce trends, the business impact of disengagement, and real customer success stories.